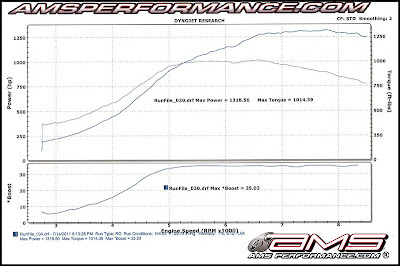 Last week/this week/a few weeks ago, Switzer Performance laid down a new highest horsepower dyno number - 1250 awhp. Today, we have a new holder of the highest dyno number. 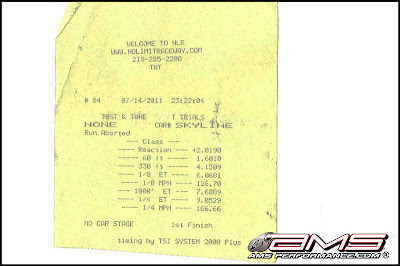 To back that number up, there is also a new quickest and fastest 1/4 mile time. 1318 awhp and 1014 ft/lb at 35 psi of boost. Just put her back on the dyno and made some small changes. 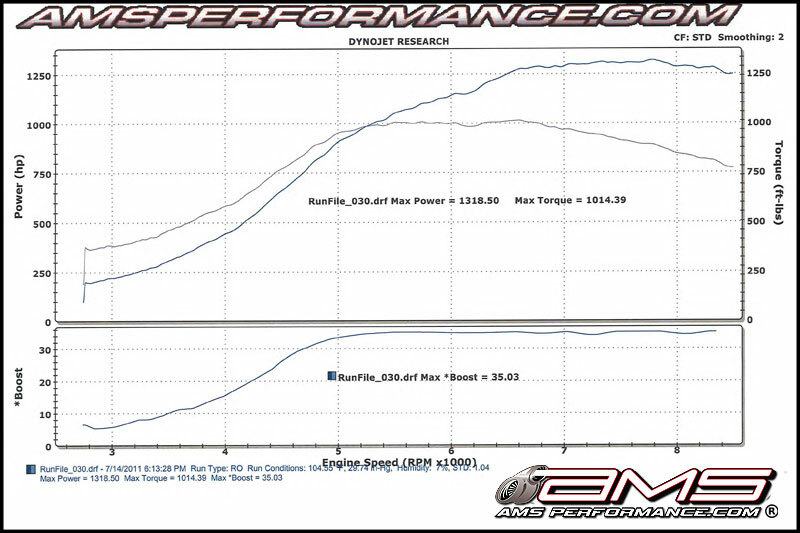 with the same boost (35 psi) its now making 1356whp on the Dyno jet STD Correction!!! SAE Correction was 1340WHP. The ALPHA 12 was making so much power it would not get 100% traction until 5th gear!!! They are getting so close to the 8's now. Just 0.06 away from the magic 8 second barrier. The 166 mph shows this car is making good power, backing up the dyno chart. 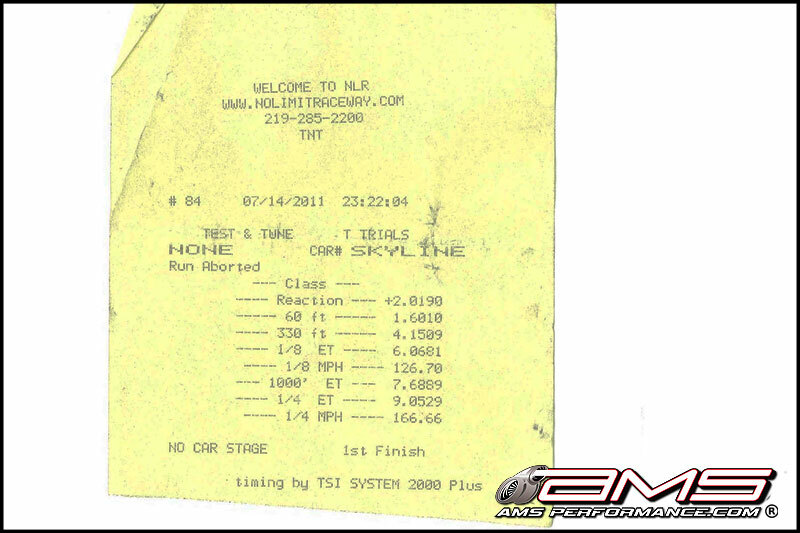 In addition to the 9.0 quarter mile, they also set a best 60mph-130 mph time of 3.46 seconds on the V-box. Props to my old friend Ivan in the drivers seat, but he just couldn't get that little extra he needed for the magic 8.